This is 56 year old Wael Wehbeh who lives with his wife and four boys. On 24/12/1984, when he was 22 years old, he was in a brutal car accident that resulted in severe internal hemorrhage. His left kidney suffered serious lacerations that resulted in chronic failure in its functions; and there was tearing in his diaphragm. The accident broke his pelvis and caused him to lose his spleen. 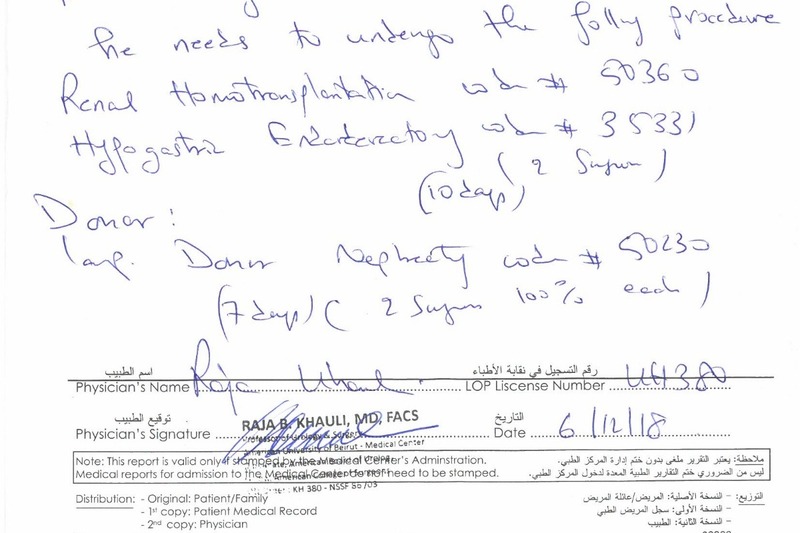 The accident caused him to have hepatitis type C due to faulty blood transfusion by the hospital, and he had to spend all his money on medication. Thankfully, after all of these years, his hepatitis C has been cured. 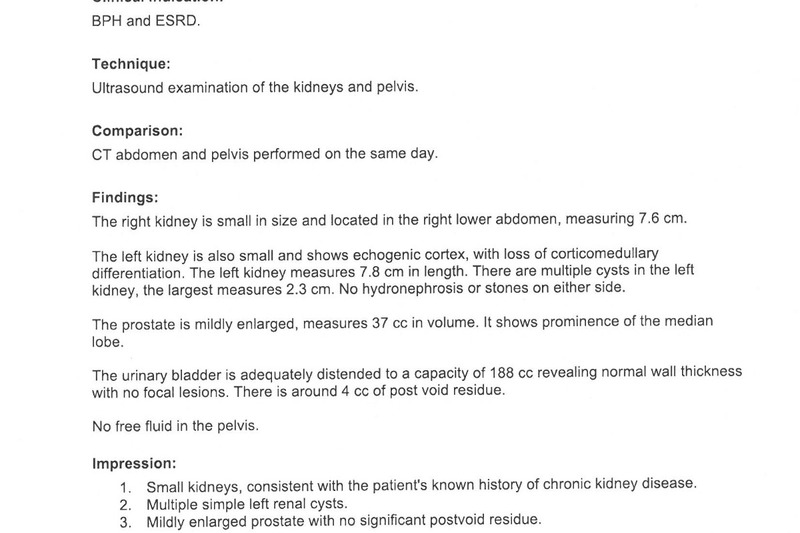 Recently, his doctor found that his kidney’s health has deteriorated to the point that he has had to start dialysis, and he will need to have a kidney transplant as soon as possible. 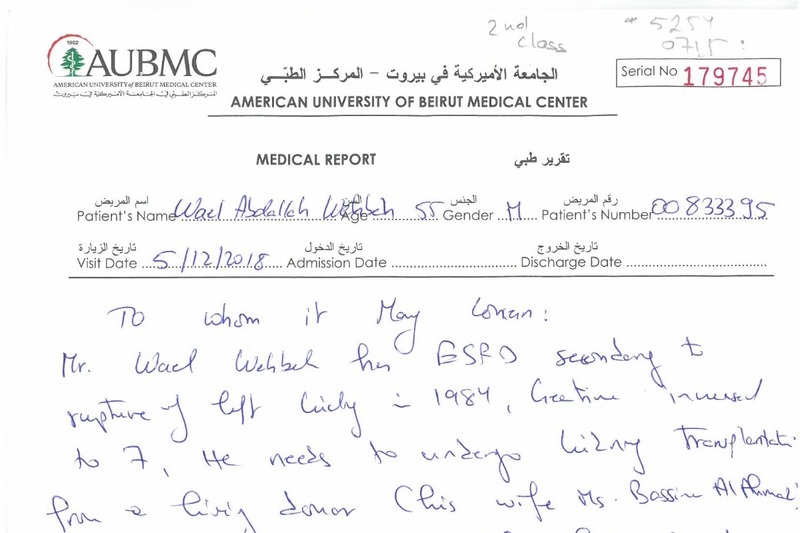 Tests proved that his wife, Basima al-Ahmad, 45 years old, is a perfect match and can be his donor. 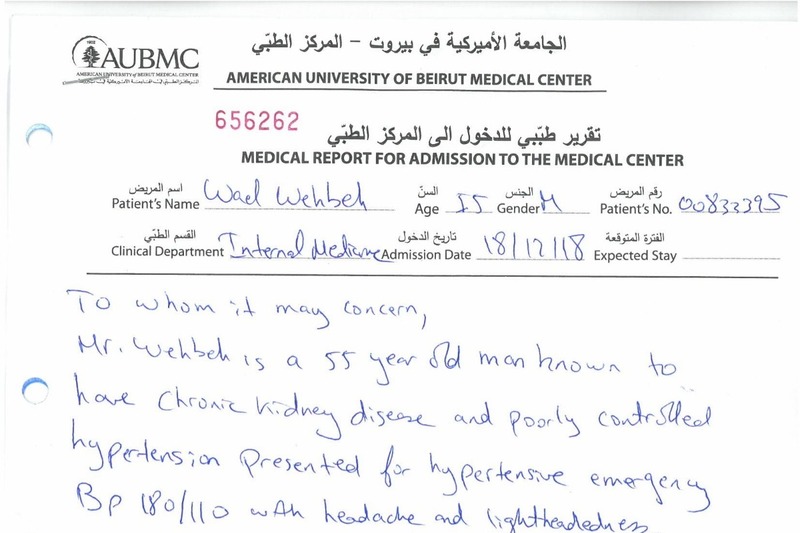 We hope we are able to help Mr Wehbeh and his family gather the amount asked by the hospital American University of Beirut (AUB) for the transplant, which is $55,000 ($40,000 operation cost +$15,000 tests and post-surgery medications) in order to help regain Mr Wehbeh's health before it is too late. 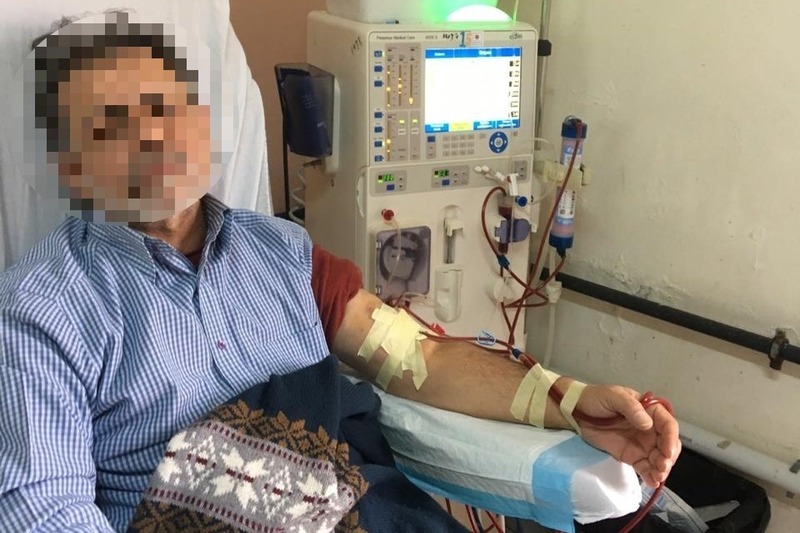 Currently, he has three dialysis sessions every week; for which he has to leave work early at one P.M., causing him to lose part of his salary, which helps him support a wife and four boys, three of whom still rely on him to finish their education. Dear benefactors, dear brothers and sisters, may God accept your donations and bestow on you the blessings of well-being and perfect health. 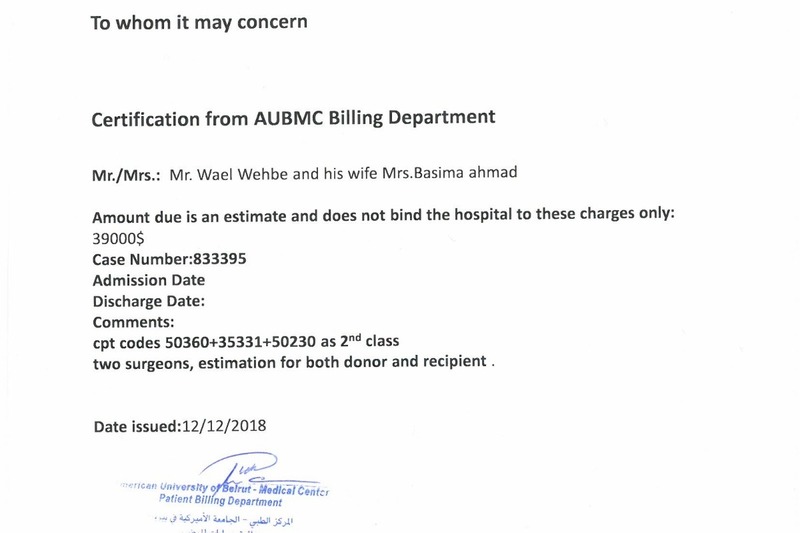 This campaign is run by Mr Wehbeh's niece here in the US and all donations will be withdrawn by his niece and transferred to Lebanon to Mr Wehbeh via Bank Transfer. Thank you for your time, prayers, and generosity, updates will be posted once available! p.s. 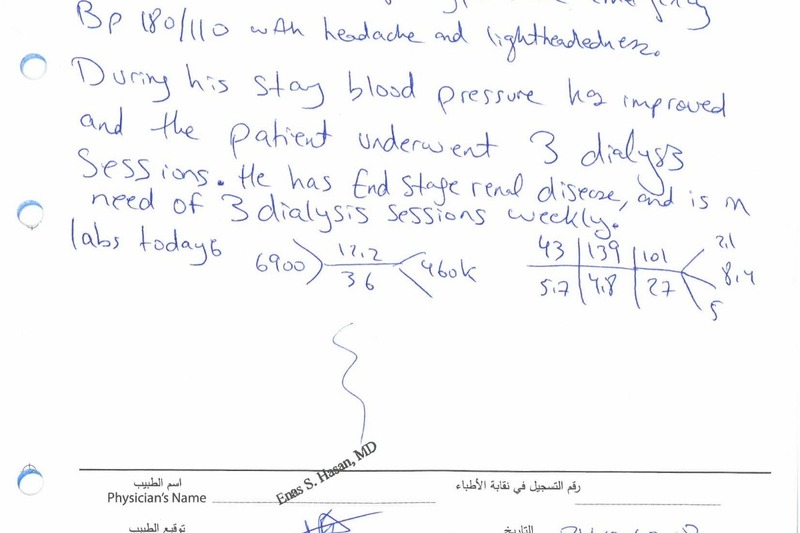 attached are some of Mr Wehbeh's medical reports and graphs.